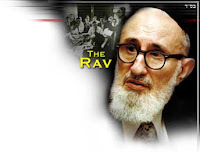 Joy During the Nine Days (link) adapted from Shiurei Harav on Mourning and Tisha B’Av, based on the lectures of Rabbi Joseph B. Soloveitchik. The Mishnah (Ta’anit 25b) says that once the month of Av begins, during the Nine Days, we have to reduce our joy. The Shulchan Aruch (Orach Chaim 551:2) rules according to the Rishonim who interpret this rule as meaning that we may not engage in business, build items that bring us pleasure or make preparations for joyous events, such as building a garden house or preparing for a wedding. The Rema adds that for the sake of a mitzvah, all these activities are permissible. Click here to read moreThe Magen Avraham (no. 8) adds that the reason for the custom not to make weddings during the Nine Days, even though it is a mitzvah to get married, is that it is an inauspicious time. This explanation of the custom seems inadequate because the Gemara (Yevamot 43a) states explicitly that the reason we do not make weddings in the beginning of the month of Av is because we reduce our joy. It seems difficult to reconcile the Magen Avraham’s explanation that the custom is due to the Nine Days being an inauspicious time with the view expressed in Yevamot that the reason is due to a required reduction in joy. We can explain this difficulty through a more precise understanding of why preparation for a joyous occasion that constitutes a mitzvah is permitted during the Nine Days. We are permitted to prepare for a joyous occasion that constitutes a mitzvah not because such preparation is an exception to the general rule against preparation for joyous occasions. Such preparation is permitted, rather, because the general prohibition does not apply at all to preparation for a joyous occasion that constitutes a mitzvah. This is because the nature of the general prohibition is that one is not permitted to prepare for an event that is primarily a joyous occasion. When the joyous event is also a mitzvah, the preparation is viewed as for the mitzvah, not for the component of joy that might accompany it. The preparation is permitted because it does not fall within the general prohibition of preparing “for an event that is primarily a joyous occasion.” This preparation, rather, is for a mitzvah occasion. However, while a wedding is a mitzvah, the essence of the mitzvah itself is to bring joy to the bride and groom. 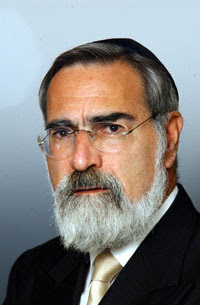 Therefore, even though preparation for mitzvah occasions does not generally fall under the general prohibition of preparing for joyous occasions during the Nine Days, preparation for a wedding does fall under the general prohibition because the mitzvah is for the object of the preparation, the wedding, to be a joyous occasion. The siddur is the book of Jewish faith. Scholars of Judaism, noting that it contains little systematic theology, have sometimes concluded that it is a religion of deeds not creeds, acts not beliefs. They were wrong because they were searching in the wrong place. They were looking for a library of works like Moses Maimonides’ Guide for the Perplexed. They should have looked instead at the prayer book. The home of Jewish belief is the siddur. At several points, the prayers have been shaped in response to theological controversy. The opening statement in the morning service after Barekhu, “who forms light and creates darkness, makes peace and creates all,” is a protest against dualism, which had a considerable following in the first four centuries CE in the form of Gnosticism and Manichaeism. Its presence can be traced in the ancient documents discovered in the 1940s, the Dead Sea Scrolls and the Nag Hammadi codices. Against dualism, with its vision of perpetual cosmic struggle, Judaism insists that all reality derives from a single source. The second paragraph of the Amida, with its fivefold reference to the resurrection of the dead, reflects the ancient controversy between the Pharisees and Sadducees. The morning prayer, “My God, the soul You placed in me is pure,” may be directed against the Pauline doctrine of original sin. The Mishna chapter, “With what wicks may we light?,” was probably inserted as part of the polemic against the Karaite sect. The Ten Commandments, said daily as part of the Temple service immediately after the Shema, was removed from the prayers when it was used by sectarians to argue that only these ten commandments were commanded by God. The fact that Jewish faith was written into the prayers, rather than analyzed in works of theology, is of immense significance. We do not analyze our faith; we pray it. We do not philosophize about truth; we sing it. Even Maimonides’ Thirteen Principles of Jewish Faith – the most famous creed in the history of Judaism – only entered the mainstream of Jewish consciousness when they were turned into a song and included in the siddur as the hymn known as Yigdal. For Judaism, theology becomes real when it becomes prayer. We do not talk about God. We talk to God. I have known many atheists. My doctoral supervisor, the late Sir Bernard Williams, described as the most brilliant mind in Britain, was one. He was a good, caring, deeply moral human being, but he could not understand my faith at all. For him, life was ultimately tragic. The universe was blind to our presence, deaf to our prayers, indifferent to our hopes. There is no meaning beyond that which human beings construct for themselves. We are dust on the surface of infinity. I understood that vision, yet in the end I could not share his belief that it is somehow more honest to despair than to trust, to see existence as an accident rather than as invested with a meaning we strive to discover. Sir Bernard loved ancient Greece; I loved biblical Israel. Greece gave the world tragedy; Israel taught it hope. A people, a person, who can pray is one who, even in the darkest night of the soul, can never ultimately lose hope.